The calm waters of the Kallang Basin offer an ideal setting to content the aquatic enthusiasts of all levels. The Water Sports Centre of the Singapore Sports Hub stretches over 35-hectare in the Kallang Basin and will surely become the preferred playground for all water sports fans of Singapore. This outdoor facility can accommodate Canoeing, Kayaking, Rowing and Dragon Boat racing. 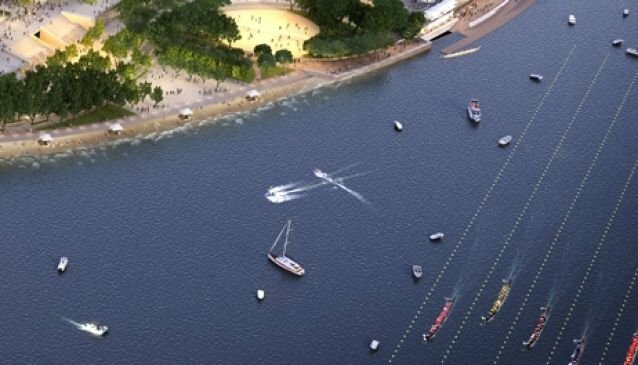 A 500m course will be mapped out on the water and a one kilometre course will be accessible from Marina Bay. Both elite athletes and the public will be able to enjoy these water sports activities soon in June 2014.